CNC machine tool - Purros Machinery Co.,Ltd. One of the most basic concepts in advanced manufacturing technology is numerical control (NC). Before the advent of CNC machines, all machine tools were operated and controlled manually. In many of the limitations associated with manual control of machine tools, there may not be a more prominent restriction than operational skills. Under manual control, product quality is directly related to operator’s skill. 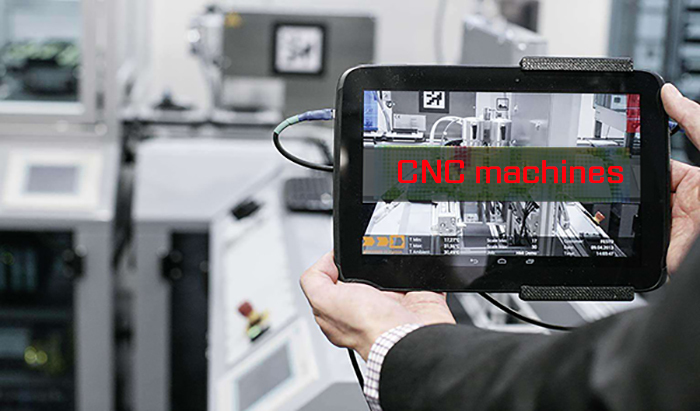 Digital control is the first step in the control of machine tool. Digital control refers to the control of machine tools and other manufacturing systems by using pre-recorded symbol instructions. The NC technician does not operate the machine, but instead writes a program that sends instructions to the machine tool. For a numerical control machine, it must interact with a device to receive and decode program instructions, the reader. Discharge machining, laser cutting, electron beam welding. Digital control also allows the machine to be more flexible than the hand-operated predecessors. The CNC machine can automatically produce a wide range of parts, each involving a variety of complicated machining processes. Digital control enables manufacturers to use manually controlled machine tools and processes to produce products from an economic perspective. Like many advanced technologies, NC was born at the Massachusetts institute of technology’s laboratory. The concept of NC was developed by the U.S. air force in the early 1950s. In the earliest stage, the CNC machine can effectively and effectively cut the line. However, the curved path is a problem because the machine must be programmed to take on a series of horizontal and vertical steps to produce the curve. The shorter the line on the step, the smoother the curve, and the calculation of each line segment in the step. This issue led to the development of the automatic programming tool (APT) language in 1959. This is a special programming language for NC, which USES phrases similar to English to define the geometry of the parts, describe the configuration of the tool, and specify the necessary actions. The development of APT language is a big step forward in the development of these USES today. These machines have fixed logic circuits. These programs were written in perforated paper and later replaced by magnetic plastic tape. A tape reader is used to explain the instructions on tape for the machine. All this represents a huge improvement in machine tool control. However, at this point, NC encountered some problems during the development process. A major problem is the brittleness of perforated tape medium. In the process of processing, it is very common that paper tape containing programming instructions is broken or torn in the process of processing. This problem is exacerbated by the fact that each part is produced on a machine tool, and the tape that carries instructions must be rerun through the reader. If there is a need to produce 100 portions of a given part, you also need to run the paper tape through the reader 100 separate tines. Fragile paper belts can’t withstand the rigor of the workshop environment and this reuse. This led to the development of a special magnetic plastic tape. Although the program instructions on the paper are a series of holes punched in the tape, the plastic tape ACTS as a series of magnetic points. Plastic tape is much stronger than paper tape, which solves the problem of frequent tearing and breaking. However, it has two other problems. The most important thing is that it is difficult or impossible to change the instructions on the tape. In order to make the smallest adjustment in the instruction program, it is necessary to interrupt the processing operation and make new tapes. You also need to run the tape through the reader multiple times, because there is a portion to be made. Fortunately, computer technology became a reality and soon solved the NC problem associated with perforated paper and plastic tape. The development of a concept called direct digital control (DNC) solves the problem of paper and plastic tape associated with digital control and simply eliminates the tape as a medium for carrying program instructions. In direct digital control, the machine is connected to the host by data transmission link. The machine tool is stored in the host computer and sent to the machine tool through the data transmission link. Direct digital control is the main step of perforated tape and plastic tape. However, it is subject to the same limitations as all technologies that rely on host computers. When the host computer is down, the machine will also have downtime. This problem has led to the development of computer numerical control. Posted in Technology and tagged CNC, CNC machines, DNC, machine tool.